Dr. Prevosti, a leading Atlanta Area vein doctor, and founder of VEINatlanta is Atlanta's first choice for comprehensive vein treatment. Graduating as valedictorian of Albany Medical College in New York, Dr. Prevosti completed his general surgery residency at New York Hospital – Cornell Medical Center before becoming a research fellow at the National Institute of Health. There, he studied new treatment techniques for vascular disorders and became one of the nation’s leading experts in cutting-edge techniques, including laser and thermal energy therapy. Dr. Prevosti performed his surgery fellowship for thoracic and cardiovascular surgery at The Cleveland Clinic Foundation, considered the #4 hospital in the nation, before he opened a private cardiovascular surgery practice in Atlanta, Georgia. Dr. Prevosti has performed more than 5,000 open-heart operations at two of the most prestigious institutions in Atlanta – Piedmont Hospital and St. Joseph Hospital – where he enjoyed surgical privileges and fulfilled other roles. At Piedmont Hospital, ranked as one of the top hospitals in Georgia by U.S. News and World Report, Dr. Prevosti served as Chief of Cardiothoracic Surgery, Medical Director of the Cardiovascular Intensive Care Unit and Telemetry Unit, and Chairman of the Patient Care Quality Improvement Committee. This exceptional practitioner was also an active member of the cardiovascular surgery department at St. Joseph Hospital and numerous committees there. Seeing a opportunity to help even more people in his community, Dr. Prevosti has focused his attention to the treatment of venous disorders since 2010. In just the last year, Dr. Prevosti has performed more than a thousand venous treatment procedures. Dr. Prevosti still leads other surgeons in his role as an esteemed author, providing his professional insight through countless articles on cardiovascular surgery and medicine. While physicians admire Dr. Prevosti for his technical skills in the surgical suite, patients appreciate this doctor for his gentle hands and sincere care. From tiny spider vein to the most complex varicose veins, Dr. Prevosti restores health and youthfulness to legs, faces, and other locations on the body. Dr. Prevosti and his team provide personal attention including a thorough diagnosis and comprehensive treatment plan. In the winter of 2014, I used a 2-step folding stool to clean the glass on a large picture frame. Suddenly, while on the top step, the large picture started falling towards my head! I managed to grab both sides, but lost my footing, I ended up landing all of my weight on my right leg, missing the first step altogether. This recovery of my fall saved my picture, but from then on the back of my right knee was painful to turn with or touch. I used ice, ace bandages, Advil, lots of Advil, etc. I figured it would just take time for that ligament, or whatever to heal. My husband scheduled an appointment with Dr. Prevosti to have some varicose veins removed and received great results. He encouraged me to get a free screening, since I was complaining of my legs being too tired to walk the dogs. The results were venous insuffinciency. First leg he worked on was my right leg. I call it my "bad leg", since the fall incident. Well, not anymore. Much to my surprise, within a few days after the first procedure, I noticed there was no longer any pain at all! I tried to twist, turn, bend and press on the back of that knee, but the pain had vanished! My procedures have renewed the vigor in my legs once more, and I am glad I decided to come in for my free exam. Thank you Dr. Prevosti and sweet staff of women you have onboard. Do something good for your legs! After years of bulging leg veins, painful lower legs that kept me awake most nights my internal medicine recommended Dr. Prevosti. I am so happy she did and that I went to see him. After a few painless tests we finally had a diagnosis of veinous insuffinciency. A big word, but it was well explained to me, even with pictures to help explain. His staff is excellent and friendly. When it came time for the procedures, he explained everything as he was doing it. At no time did I feel they were rushing, in a hurry to get on to the next patient like a lot of Doctors do. Dr Prevosti is top at what he does and I whole heartedly recommend him. I suffered with bulging leg veins, restless leg syndrome, and "heavy feeling legs" for most of my life and I finally decided to do something about it. Dr. Prevosti was recommended to me by my primary care pyhsician and I am so glad that I followed up. Dr. Prevosti and his staff staff are wonderful - caring, patient and knowledgeable. My legs now look and feel wonderful - I just wish I had done this sooner! Vein Atlanta - Top Notch! 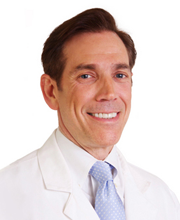 Don’t put it off any longer if you want the best care for your leg health go and see Dr. Louis Provosti now! Dr. Provosti is dedicated to his profession, has a great bedside manner, and explains everything to make it less stressful on the patient. Dr. Provosti and staff are professional, caring and friendly. Thanks for giving me back a restful night’s sleep and gorgeous legs to show off. Thank you Dr. Prevosti! Everyone in the office is so nice, professional and did a wonderful job of putting me at ease. My first visit to the cardiologist after the procedures he exclaimed 'your legs are not swollen'. No they are not and they don't ache and hurt anymore. I am just sorry I didn't have this done a long time ago. I would not hesitate to recommend Dr. Prevosti. He has made my life easier. I had all the classic problems: bulging veins, aching legs, restless legs, pain after walking, as well as swelling after standing or sitting any length of time. I have stayed in pants for years simply to hide the unsightly visual, but nothing could help the pain. A friend told me of finding Dr. Prevosti, and highly recommend him. I had already scheduled with another doctor, but decided to check for a second opinion. I'm so glad I did. Dr. Prevosti was much more thorough, and picked up on several things the first doctor had not. In addition, the team at his office was simply superb! It has not been a quick fix, but all along the way, the team has been excellent, and a real delight to work with. Highly recommend you check them out, even if you have another place you've been to! Thank you Dr. Prevosti!! My legs ached at night. I was convinced (from TV ads) that I had restless leg syndrome. I was too embarrassed to wear capris or shorts. I hid my legs by wearing pantyhose (even in summer) when wearing a dress or skirt. Not anymore!!! The difference is AMAZING. Dr. Prevosti and staff are professional, efficient, friendly and caring. I am so glad I found Dr. Prevosti and VeinAtlanta. VeinAtlanta is probably one of the best things in my life! When I went for my checkup with my primary care doctor, he told me I needed to go to a vein doctor. I told him I had been to three in recent years. He said, "I want you to go to a Good vein doctor". He wrote Dr. Prevosti's name and phone number. My vein problem started when I was in my early 20s. Thank you Dr.Prevosti!!! You and your entire staff are the very best!!!! Thank you for my pain free nights!!! I am proud to have the legs I have now! Dr. Prevosti repaired all the mistakes my first two doctors made and did substantially more! His care and treatment is so first class! Each procedure was a breeze, no pain and so smoothly performed. I am proud to have the legs I have now! He has a great staff, they are always ready to serve you. There is no comparison to any other vein doctor or clinics. He is the difference between DAY and NIGHT. If you want the BEST of the BEST in Vein Treatment, see Dr. Louis Prevosti! The office staff is first class. Dr. Prevosti is one of the most professional medical men I have ever met. He is thoroughly knowledgeable of the Vascular System (he is a cardiac surgeon). His presence puts you totally at ease during the procedures and may I add the procedures are quick and easy and practically painless. If you have had a flu shot you can undergo the procedures. I think I have had every procedure on the list. This website is operated by Dr. Prevosti’s practice. Review Me is designed for the benefit of patients in the Atlanta area seeking care for Varicose & Spider Veins. Because our practice monitors this site, we ensure only real patients we have treated are represented here. Our goal is to provide the best quality care for you – we trust this site will help you learn more about Dr. Prevosti and VEINatlanta.